Big Company Software. For Everyone! Easily Tailored to Your Way of Doing Things. Introducing LightArrow Organizer for Mac. Stop wasting time looking for information scattered everywhere and start focusing and acting on what matters with LightArrow Organizer. When you’re a solopreneur or small business owner, finding the right app for taking control of your work and life isn’t easy. Many productivity, CRM or small business apps are too big or too small to meet the specific needs of the one-person business. If you’re looking for an app that’s “just right,” you’ll find LightArrow Organizer to be the best fit to boost your productivity and organization. LightArrow Organizer is designed to be perfect for the solopreneur or small business owner. It’s not a simple checklist or to-do list app, nor is it an expensive, long-term commitment. We’ve simply combined your calendar, work projects, contacts, documents, notes, finances, assets and other relevant information, such as bookmarks and checklists, into one powerful app. And, you can also easily manage clients, vendors and prospects. We know that your career as a real estate professional or property manager is time consuming. You wear many hats and have a considerable amount of information to manage every day. Open houses, travel and marketing expenses, listings, inspections, appointments and client requirements are just a few of your many responsibilities. Wouldn’t it be great if you had one app to keep track of showings, open houses, closings and appointments? 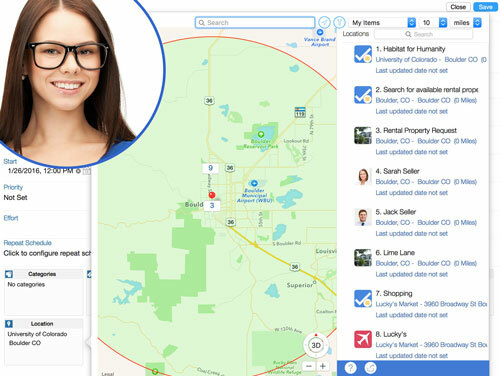 And with the same app, you could easily manage monthly calendars, clients, vendors and prospects, as well as critical information regarding properties for buyers and sellers? On top of all of this, what if you could organize all relevant real estate documents, notes, home checklists, bookmarks — and stay on top of expenses, purchasing and other business operations? With LightArrow Organizer, you can! If you’re a freelancer, you know that effectively managing clients and prospects, digital resources and vendors is a challenge. And when you’re flying solo, you have responsibilities beyond what others face. You regularly juggle projects, deadlines, meetings and clients, and you’re expected to find new engagements while keeping up with daily responsibilities. This is why LightArrow Organizer appeals to freelancers in many different industries for managing their day-to-day operations. The app simply combines your calendar, freelance projects, clients, documents, notes, finances, assets and other relevant information, such as bookmarks and checklists, into one powerful app. And, you can also easily manage clients, vendors and prospects. Stop wasting time and money on an assortment of different, disconnected apps and start managing everything in one place with LightArrow Organizer. When you’re a busy professional, student, parent, educator or a follower of the GTD® method, maintaining your work-life balance is high on your priority list. This is why these individuals rely on LightArrow Organizer to keep them organized. If you practice GTD® or you just want to get your professional or personal life under control, LightArrow Organizer is impressively suitable for you. Increase your productivity with the most complete app that for managing work and life in one place — manage calendars, projects, tasks, home assets, digital assets and more. Mompreneurs and entrepreneurs who run direct sales from their homes can find it challenging to keep up with the details. Are you a direct sales consultant who’s making money by selling products from direct sales companies and you have a lot of information to track on a daily basis? Are you one of these entrepreneurs who has mounds of papers, file folders and sticky notes, and feels that you could benefit from better managing the details of your business? You’re in luck. With LightArrow Organizer, you can organize client, prospect and team member details effortlessly. Manage follow-ups with our automatic contact logs. Organize contact groups in a spreadsheet-like view with filters showing you who you need to contact based on a variety of factors. Keep audio, photo, text and handwritten notes about clients, which helps you build effective follow-ups and participate in engaging conversations. Track event details, including invitees and RSVPs. Easily manage projects and tasks, to-do lists, checklists, monthly calendars and schedules. Keep track of assets. bills and expenses. Track goals and sales progress. The list goes on! Everything you need. Working seamlessly and out-of-the box – in one, connected app. 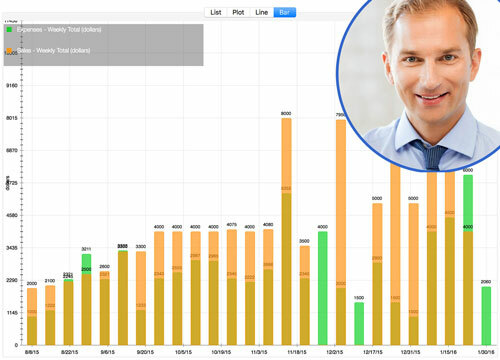 Get instant visibility into what’s important in your busy work and life through the customizable LightArrow Dashboard. In a glance, see your calendar, projects and other work tasks, contacts with alerts, important digital content and what’s going on with your finances. We know that your calendar is one of the most important tools for staying on track. 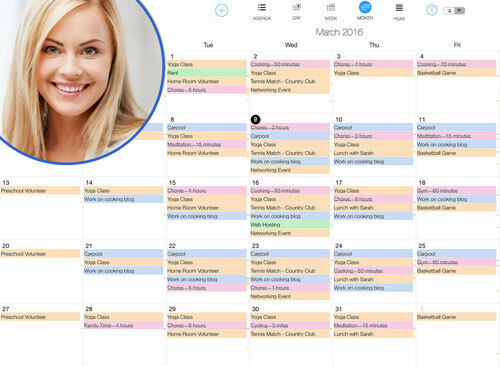 This is why LightArrow Organizer provides eight fully-functional calendar views giving you the flexibility you need to stay on task. LightArrow Organizer’s Productivity views help you plan projects so you can achieve your goals and defeat procrastination. Statuses, alerts, context tags, nested tasks, location awareness and connections with digital resources keep you aligned with your objectives. 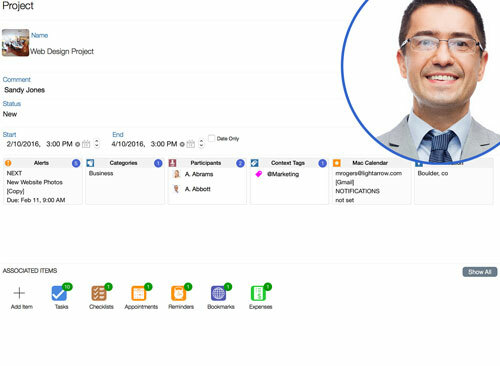 Customer and prospect information is always available at your fingertips with LightArrow Organizer’s convenient contacts view. 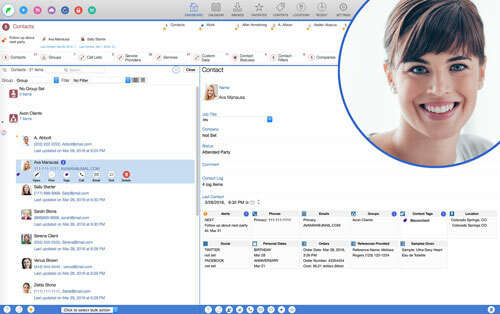 Easily manage your contact information and any activities related to it. Keeping track of personal purchases or things you buy from business suppliers helps you stay productive. That’s why LightArrow Organizer has built-in shopping lists that hold a variety of pricing, supplier and other details. LightArrow Organizer’s Inboxes combines information feeds from email, social media and the web and also lets you convert this information to activities, such as tasks — saving your precious time. Organizing digital content from different sources is key to staying organized and informed. Bookmark things you find, make checklists and to do lists, take notes, securely store passwords, and access online documents and notes from your favorite cloud services such as Evernote® and ToodleDo®. LightArrow Organizer catalogs the assets you lease or own, coordinates the trips you take, and helps you monitor your money through payments and expenses. We believe that productivity tools should never sit on their own little islands. That’s why we make it easy to access your online documents, notes and tasks from Google Docs, Evernote®, Toodledo®, Dropbox™, Box™ and OneDrive™ (SkyDrive). Empowering our users to get the best experience with their LightArrow app is one of the most important things that we do. We offer contextual online help, video tutorials and the best customer support in the Apps market. Try it for yourself. Highly-Rated Productivity Apps with 135,000+ Users! LightArrow builds the best all-in-one productivity apps for business owners and individuals to manage work and life in one place. Instead of wasting time looking for information scattered everywhere, our customers manage their contacts, calendars, projects, documents and all related information in a single app, allowing them to focus and act on what matters. We provide exceptional customer support which is unheard of in the apps market. We have highly engaged customers and consistently high user ratings over several years.